Warm sauté pan on low and add tamari, ginger, syrup, and seasoning. Heat marinade until everything is combined and liquid. Let cool for 2 minutes and then pour over salmon. 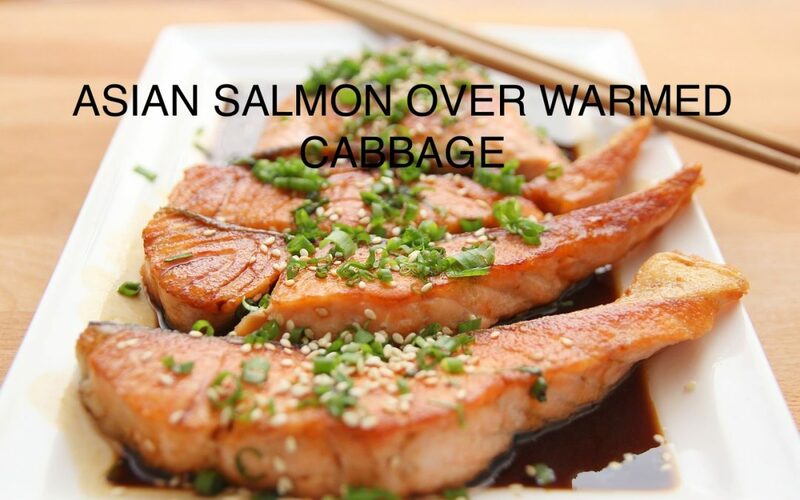 Allow the salmon to marinate for 20 minutes. In pan, heat ghee and add sliced cabbage. Saute in remaining ingredients. Cook 5-10 minutes until warmed but still crisp.